The state flower of Texas, bluebonnets also go by the names of buffalo clover, wolf flower and Texas lupine. Fields of the beautiful flowers attract crowds of people in the spring. Bluebonnets also grow in Colorado, California, Utah, Arizona and New Mexico. Bluebonnets appealed to people long before Texas became a state. Indian tribes passed down stories from generation to generation about the beautiful flowers. Spanish priests collected the seeds and planted them around nearby missions. In 1901, the Texas House of Representatives adopted the bluebonnet as the official state flower. But in 1971, the Texas legislature added all the species of bluebonnet flowers as the state’s official flower, giving the state six official state flowers. 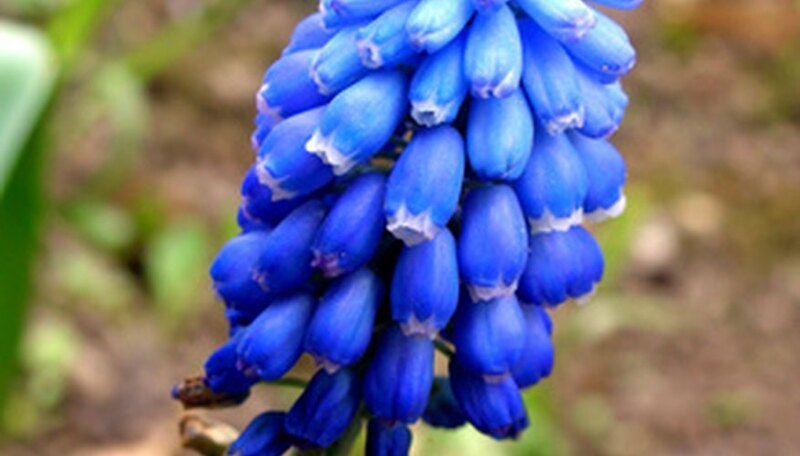 A member of the lupine family, bluebonnets feature royal blue flowers on stalks that rise above beautiful green foliage. The plants thrive in a variety of conditions, including sandy soil. As the flowers age, one of the top petals turns a reddish-purple color. All bluebonnets grow as annuals, so the plants must produce seed to grow again the following year. In fields of bluebonnets, the seed eventually gets covered by weeds and grass that help push the seeds into the soil where they eventually germinate. Bluebonnet also come in white and pink strains. Look for white lupine mixed in with the blue bluebonnets. Six species of bluebonnets grow as native plants in Texas. Lupinus subcarnosus, the original and first Texas state flower, grows in sandy, loamy soil. Meadows full of white-tipped Lupinus texensis attract lots of people in the spring when the plants bloom in masses. One of the largest bluebonnets, Big Bend bluebonnet (Lupinus Havardii), grows up to 3 feet in height. The dune bluebonnet (Lupinus plattensis) grows up to 2 feet in height. While bluebonnets grow all over the state in fields and along roads, some of the best places to see fields of Lupinus texensis bluebonnets are central and south Texas. The flowers carpet grassy meadows in late March and early April. Look for the tall Big Bend bluebonnets in western Texas in the spring. Lupinus texensis is one of the easiest bluebonnets to grow in the garden. The seeds resemble flat bits of pea gravel with multi-colored hues, including blue and light tan. Plant bluebonnet seeds in September or October so the annuals bloom the following spring. Nurseries also provide transplants in containers, making it easier to start the plants growing in the garden. Plant seeds or transplants in well-drained soil. Once the plants get established a few weeks after planting, they require little water since they’re highly drought tolerant.